Gelato at Pan'e Dolci, Las Olas Blvd. 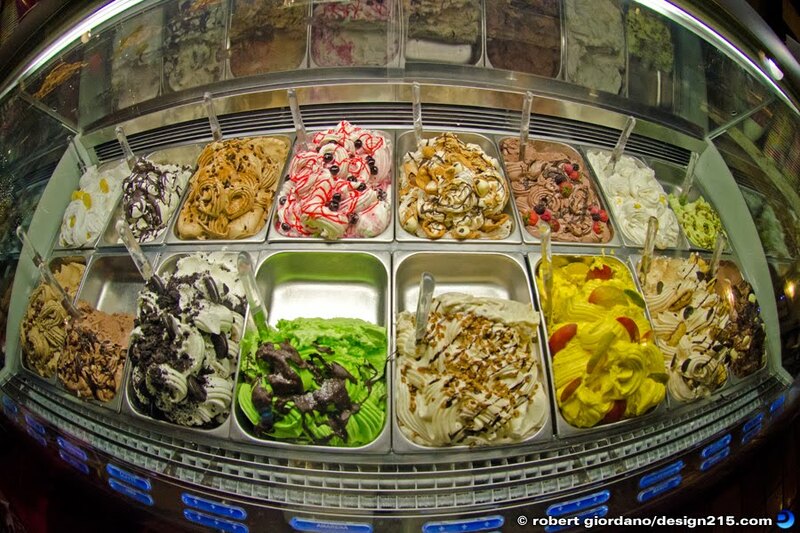 Gelato, made fresh at Pan'e Dolci Italian Bakery 613 E Las Olas Blvd. Ft. Lauderdale, FL. I was just having some fun, wandering around with my camera and fisheye lens. There is hardly any grain in this image, even though I was shooting at ISO 1600. I held the camera right up against the glass of the gelato case. Nikon D7000 with Nikkor 10.5mm f/2.8 fisheye lens. Exposure: f/4 1/500 ISO 1600. Ill Nocturnal and Ill Ra... the REAL Angry Birds? My friend Ill Nocturnal called me this afternoon and asked if I could meet her at a friend's house to shoot some photos. Here's one of the images from that shoot. It should be obvious but I'm going to say it anyway... don't try this at home!! Ill Nocturnal and Ill Ra are part of the Illuminautians. Check out their web site, www.illuminautians.com. Nikon D7000 with Nikkor 105mm f/2.5 manual focus lens. Exposure: f/5.6 1/15 ISO 400. Remote strobe. Here's my friend Tikidoll Sakura wearing her custom made, stuffed animal fluffies. She makes all kinds of crazy clothes for gogo dancing and EDM events. We did this shoot in downtown Miami, near Biscayne Boulevard. If you'd like to learn more about Tikidoll and her clothing, check out her page. Nikon D7000 with Nikkor 105mm f/2.5 manual focus lens. Exposure: f/8 1/250 ISO 125. Remote strobe.